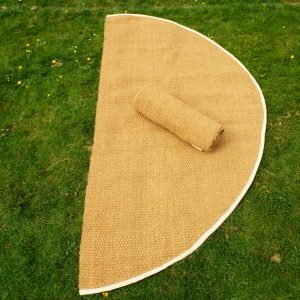 Large half moon shaped door mats outdoor, indoor semi circle mat made from coir in a range of sizes. 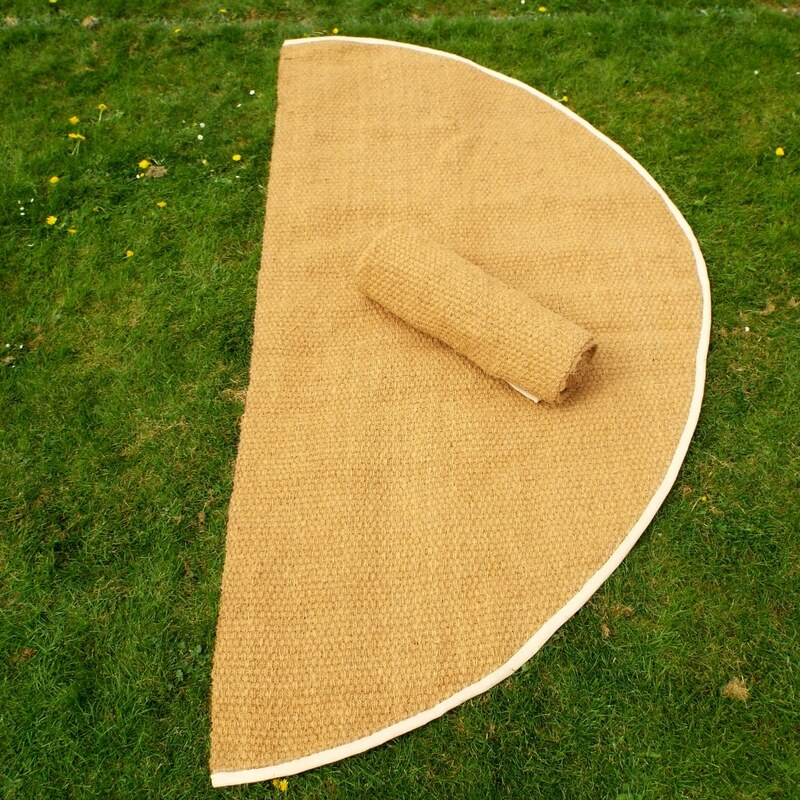 Our customers purchase these mats for use as deluxe Bell tent floor mats and yurt matting. There are a variety of other uses including. For bar frontage floor mats. As home outdoor entrance or porch welcome front door matting. 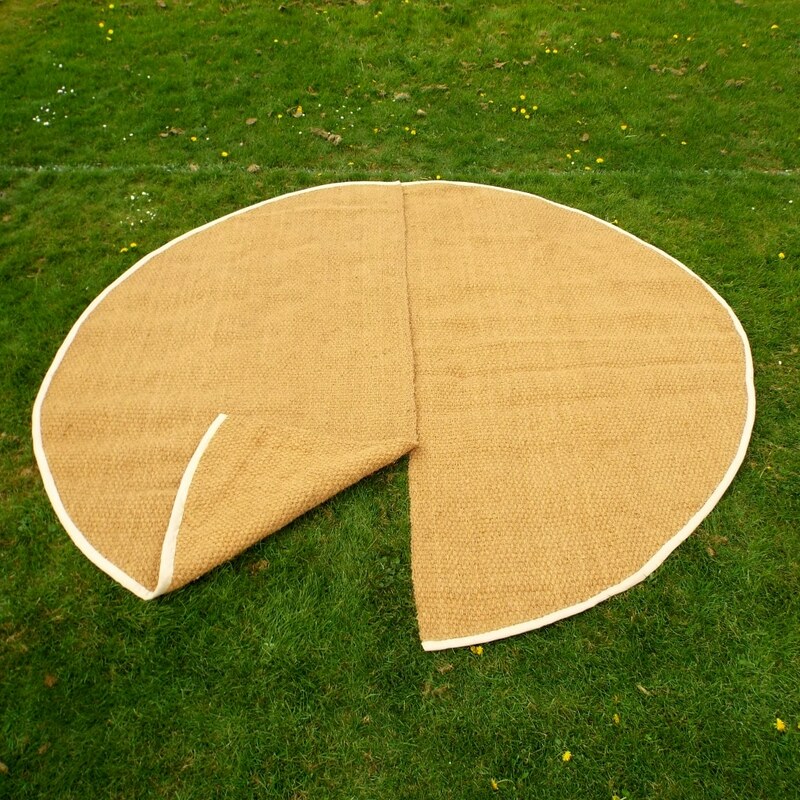 For the summer if you are having a garden party. Vycome yarns are natural fibres that produce tough, hard wearing threads that are bright natural golden in colour. 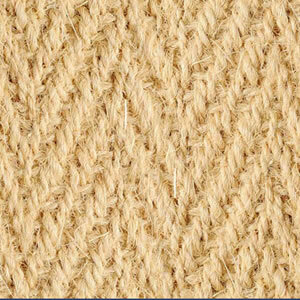 Available in an attractive Panama weave forming a 2×2 cross thread. 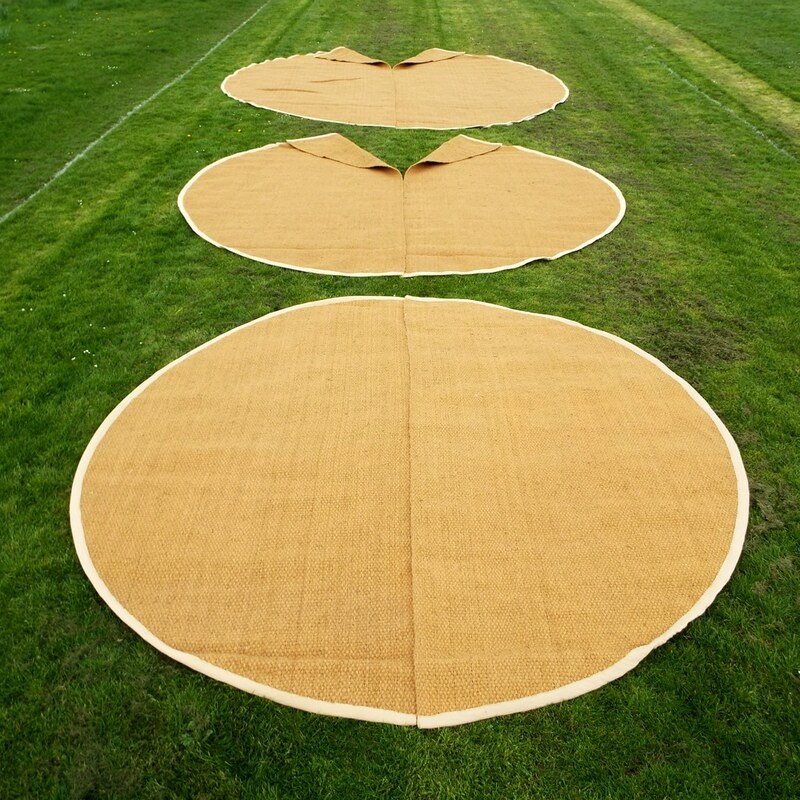 A range of sizes to perfectly fit your Yurt or Bell tent and complement the rustic ambience. 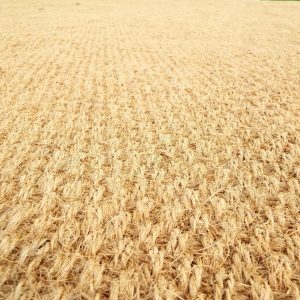 For extra choice, some diameter sizes are also available in Herringbone weave. 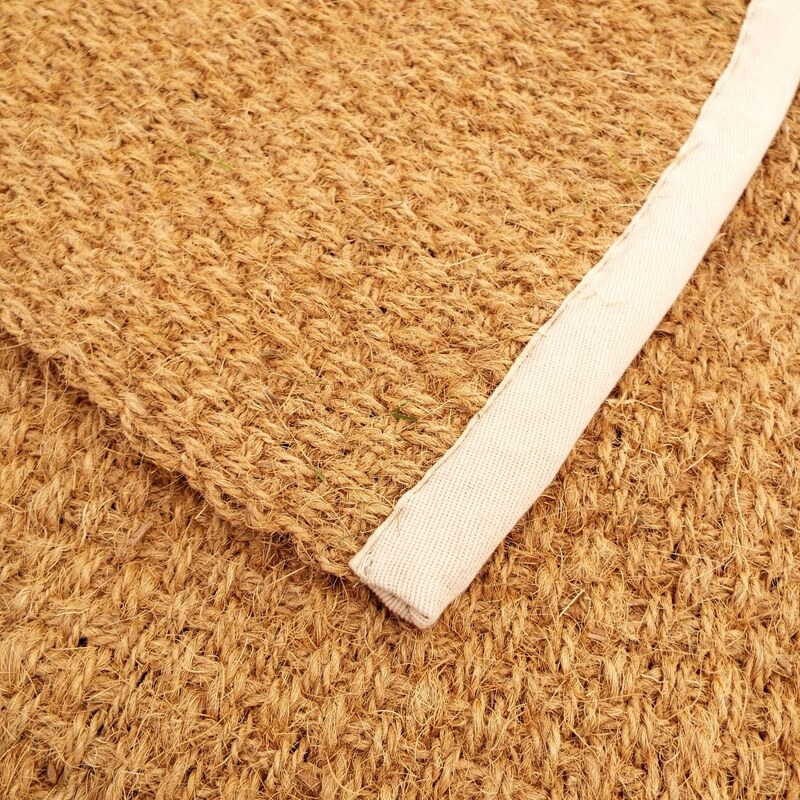 Durable hem made with cotton webbing and machine stitched for strength. 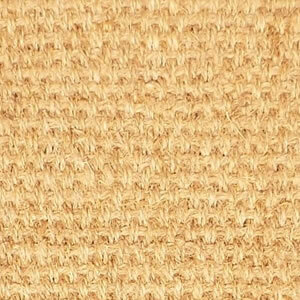 Produced in Kerala, India, matting made from the fibres of Coconut husks. Purchasing a mat and place it near the back door is a great idea. Order matting from us can help you to lower your costs. Cheaper, but high quality large half-moon mats at bargain prices. 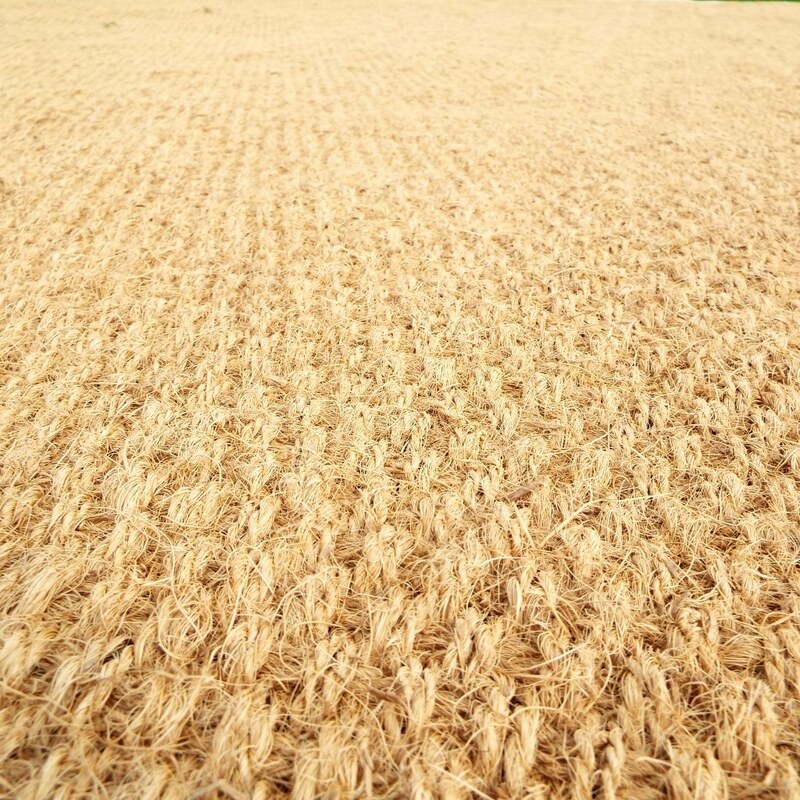 Get supplies from us and the benefits become clear when you compare the materials used. 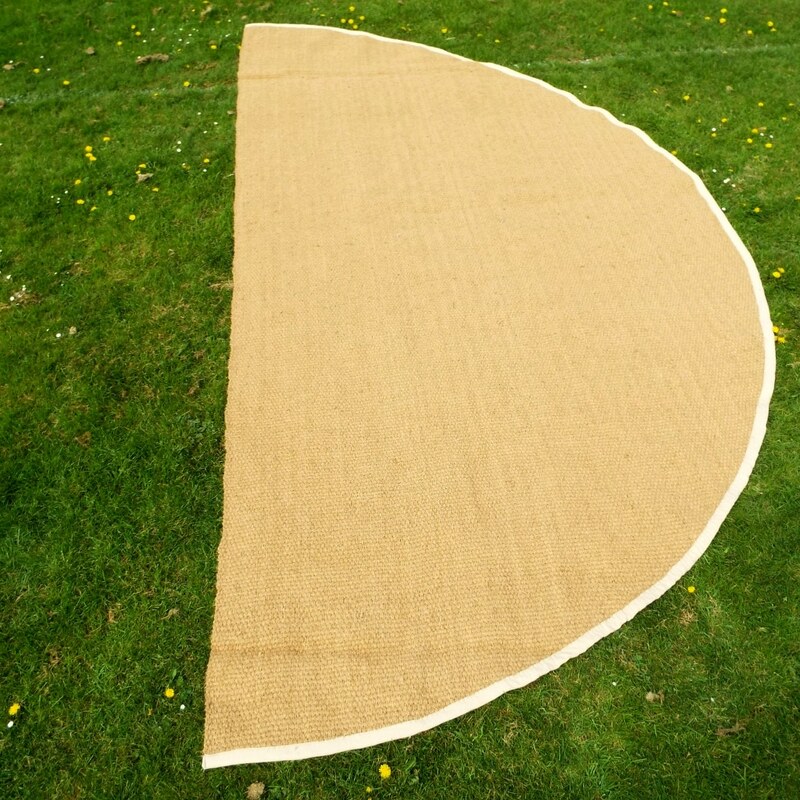 A leading supplier on the web in the United Kingdom for large outdoor semicircle half-moon mats. Product details, specifications and pricing. What a wonderful experience doing business with you! Personal contact, fair prices and fast shipping as well. In the end: product as good as I had hoped it would be. Couldn`t ask for more! 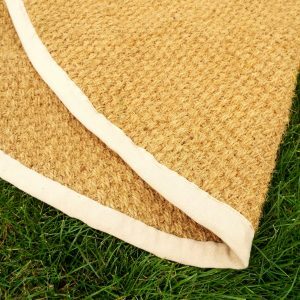 In Germany you don`t find any coir mats for bell tents, so it had to be a UK-store. Personal contact, regular updates and a great product! I wish you all the best with your business going forward and I would happily recommend you.